Within each workshop participants develop a collaborative resource that captures the experience and collective wisdom of the participants, and there will be free books for all attendees. What do trade books have to offer teachers who want to deliver the quality education that the Common Core Standards encourage? During this hands-on workshop Susie shows how to examine newly arrived children’s book to see how they aid in the teaching of literacy skills such as inference, sequencing, main idea, key details, cause and effect and more! How do you make character education meaningful for children? This class focuses on picture book heroes who model behaviors and changes in courage, good judgment, integrity and kindness. These recent picture books become departure points for discussion, evaluation and strategies for sharing them with children. This class provides step-by-step, hands-on experience with picture books to examine ways to develop meaningful characters, strong motivations, compelling conflicts, and satisfying resolutions. How do you get children beyond their typical description: “it was a good book?” Current picture books for all ages can help. 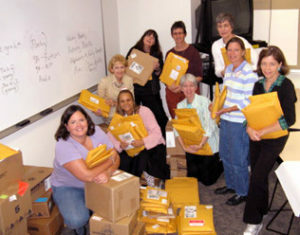 Book reviewer Susie Wilde will spend the pre-class month collecting envelopes and boxes of books that come daily to her home. These will serve as a focus as the instructor models intriguing methods to engage students. 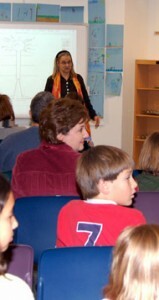 The class includes student-centered rubrics and resources. How do you teach young children to read, write and understand the connection between reading and writing? Playful, interactive methods help teachers examine different facets of reading. Start with a pile of current fiction and nonfiction books. Organize teachers in teams of “specialists” to examine and evaluate these books in terms of art, social studies, science, language arts curriculum. Together these teams will develop a useful bibliography that crosses the curriculum. Susie Wilde shares books from her celebrated collection of truly terrible “bad books” as well as some of her favorites. Workshop participants are invited to examine recent picture books and their evaluations will lead to the development of a criteria list of what makes good children’s book writing succeed. In classrooms across the country, children struggle to think, wonder and risk. This workshop combines examining current books with two easy, instantly applicable activities that take students directly into higher order thinking. What makes stories come alive? Supporting details in stories invite readers to become part of the story. All students know the term “supporting details,” but can they find and create them? They certainly can once they learn to Slurp Horrible Fish Juice! This mnemonic helps students enter a scene so that they see, hear, feel and find juicy words the author uses to make scenes dynamic. Using picture books, workshop participants come to understand the power of this technique and how children can learn to apply the learning gained from reading in their writing. "I was able to go straight to my class and use what I learned. The ideas are easily adapted to almost any skill or grade level." "Susie Wilde is a phenomenal consultant who has the ability to bring literacy and writing alive for both students and teachers. The processes she shares are instantly usable to transform classroom practice that increases creativity, higher order thinking, and student expression, all important aspects of the Common Core." To book a workshop or get more information, contact Susie. For dates, times and locations of upcoming workshops, check out the Events page.